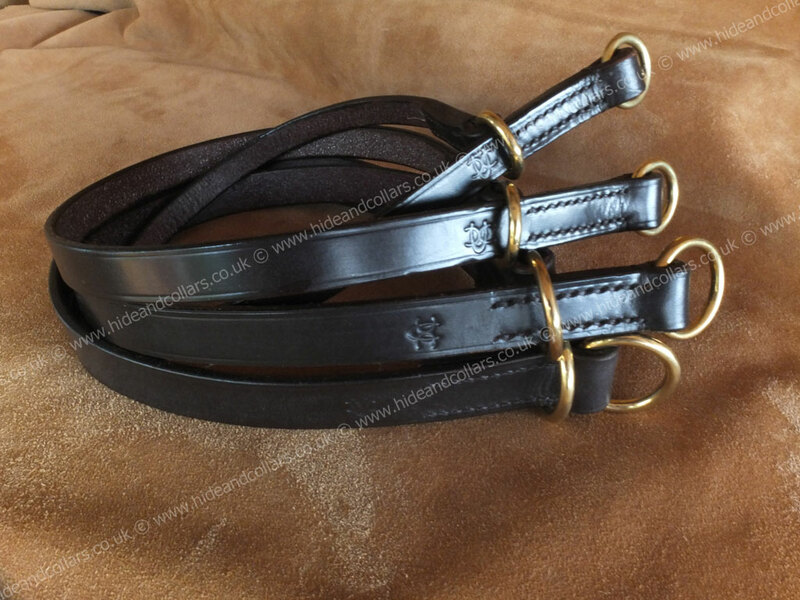 This leather slip collar is available in four widths and a range of colours with solid brass or chrome fittings.Made from the very best English Bridle Leather giving you durability and longevity. 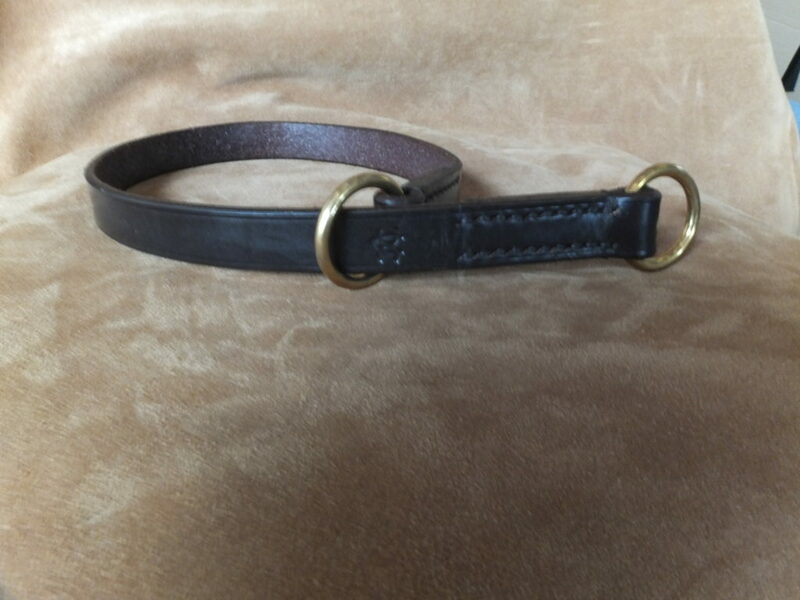 A Slip Collar that is suitable for everyday use and working dogs. Be sure to measure correctly, this item needs to slip on over your dogs head. Matching leads can be found here.